This summer, even if your budget is tight, you can still go on a vacation. With expensive and excessive airline charges on the rise, this may be the year to take a road trip in order to save a little extra cash. Often times car title loans can be the best way to ensure your summer is one to remember. With the proper preparation, you will have family fun and an inexpensive vacation that you will always remember. To get your trip started, plotting your route and destinations is the first priority. When you decide how far you want to go and how many miles you want to cover, then you can plan your route, there and back, in a way that you can enjoy the geography, culture, food, and attractions. To avoid major road construction or traffic issues, look to Google Maps and set up traffic alerts you can even consult the state department of transportation sites or rely on the phone number 511 (available in most states) for information on what you’ll encounter on the road. To avoid traffic delays in large cities, avoid driving between 7 a.m. to 9 a.m. or 4 p.m. to 6 p.m. and use bypass routes, if possible. Use these times of day to enjoy local dining favorites or take a hike to take in the local scenery. Whether you use an old-fashioned DeLorme map or a GPS, having your route, and alternate routes planned, will help you save money and stay on schedule. You may not be debt-free, but you can still take a summer road trip! Paying off credit credits and other debts can take years, and not taking a break during that time can be tough on you and your family. Once you decide to take a road trip, you will want to start a savings account. You can save money by limiting your time away to less than 10 days. Once you have your budget set aside, use that first. A prepaid credit card or a quick cash loan, like car title loans, can help to keep you within your budget. The goal is to save as much money as you can, and have a detailed budget for what you’ll spend on lodging, meals, activities and gas. Include about 10 percent over that estimate for unforeseen expenses like car repairs or medical expenses. It is also a good idea to have some cash on hand in case you stop at a place that doesn’t take credit cards. 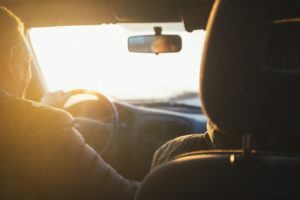 You and your family will be spending a considerable amount of time in your car on a road trip, so you’ll want to make sure that it’s clean and organized as well as safe for the road. Start by cleaning the inside of your car and make sure there is space for healthy snacks and family activities to be close at hand. Pack light and efficiently, you don’t want the car to be overwhelmed with unnecessary luggage. As for the car exterior, the tires are very important. Check your tire pressure (the pressure should match the specs in your owner’s manual) and your tread. If the tire’s tread is low, just opt to buy new tires and if they are safe, then have the tires rotated. Make sure the signal indicators, headlights, brakes, interior lights, the horn, wipers, brakes, and fluid levels are all in working order. If you decide to venture more than 1,000 miles from home, renting a car will help you avoid wear and tear on your car. If you are trying to save money on vacation by doing a road trip, then don’t just wing it. If you walk into a hotel at 2 a.m., you’re going to get the worst rate. Instead, search travel sites like Expedia.com or Orbitiz.com for great lodging deals. To get good prices on meals, look for restaurant coupons or promotions in the local newspaper or on the local convention and visitor’s bureau website. When you find the places you’d like to try, follow them on Facebook or Twitter to see if they post daily deals or specials. Do the same for local attractions or parks. Basically, Google will be your best friend while planning your trip. You can plan everything from your route to getting the best deals to finding out what places people recommend. Hopefully, these tips will help make your vacation fun and keep your budget reasonable. If you find yourself in need of some extra cash before you head out on the open road, Tio Rico’s team can help you out with car title loans. Simply get started online or call us at 602-322-1010.